Pennsylvania collected $2.7 billion in its General Fund during December, says state Rep. Jim Cox (R-129). This is roughly $162 million more than expected. Across the board, revenue collections were above estimates, including corporation taxes, sales taxes and Personal Income Tax collections. Six months into the fiscal year, the General Fund stands at $13.3 billion, $271 million above estimate. 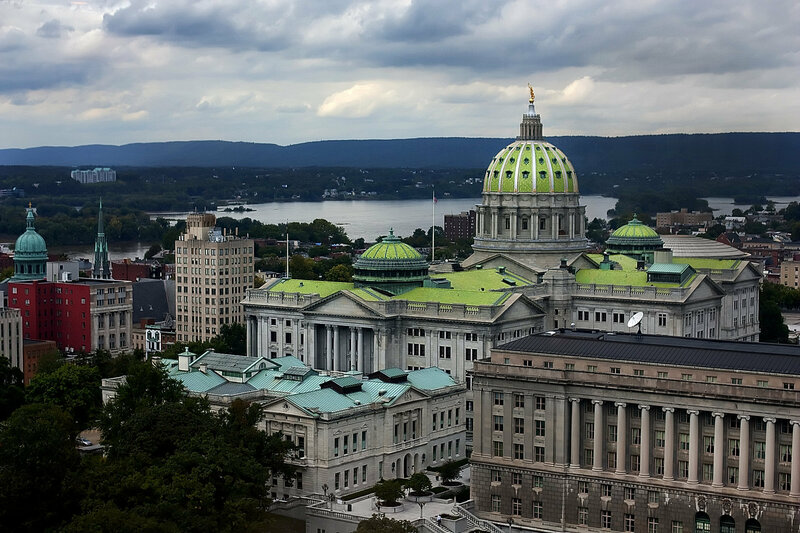 Tax Hike Unnecessary For Pa.
State Senator Scott Wagner (R-28) has issued a statement concerning Pennsylvania’s financial situation in response to the mid-year budget briefing by Budget Secretary Charles Zogby given Dec. 3. The important points are that the state has $30 billion annual revenue, a $5 billion, 60-day line of credit and a $2 billion is not unrealistic for this time of year. Here is the statement albeit with some editing. I’ve been sitting back listening to my colleagues on the other side of the aisle, and unfortunately it is apparent that none of them understand how the finances of a business operate,. The Commonwealth is identical to an operating business where there is revenue and there are expenses. As an owner and operator of multiple businesses, I fully understand that my business enterprises would not be able to operate without an operating line of credit from a bank. The Commonwealth has revenue of approximately $30 billion per year. Any experienced business operator or chief financial officer would agree that the Commonwealth of Pennsylvania should have an operating line of credit equivalent to 60 days of average revenue, which would be an operating line of credit of approximately $5 billion. As a private sector business owner, I know how to manage a budget and what factors will impact the budget. The Democrats are trying to spin the budget issue to scare the public into thinking the only solution is more tax increases, when in reality, revenue comes in at different times throughout the year. The $2 billion deficit is not unrealistic at this time of year. A large portion of the revenue that comes into the Commonwealth is received between Jan. 1and April 15 through payments for PA State Income Tax. Many Democrats are using the budget discussion as an opportunity to grand-stand politically and criticize Governor Corbett for the equivalent of borrowing against a line of credit to cover revenues that are slower at the end of the year. Any private sector business operator needs to understand cash flow into and out of their business. Businesses routinely operate with lines of credit. This is what businesses do – and if some of the critics would have ever signed the front of a paycheck rather than the back, they might possibly have a better understanding of cash flow, borrowing money and cycles throughout the year that affect cash flow. Also, last winter was the worst winter that many businesses have seen in 30 years, and this impacted revenues to the Commonwealth. At one of my companies, we spent approximately $50,000 on snow removal, which is more than double of any year that the company spent over the last 15 years. I would be curious to know how much additional expense the Commonwealth spent on snow removal at Commonwealth owned or leased facilities throughout the state. Just consider this, if car dealers in all 67 counties throughout Pennsylvania sold 500 less vehicles per county on an average, that would equal 33,500 less vehicles sold. Factoring transaction value of $25,000 per vehicle times 33,500 vehicles would result in lost revenue of $837,500,000 to the car dealers. Sales tax of 6 percent lost to the Commonwealth on revenue of $837,500,000 would equal $50,250,000. Many people who had planned on purchasing a new vehicle during the winter may have had to cancel their vehicle purchase to replace a roof, spouting, or a new furnace because of the severe winter we just experienced. For the last four years, Democrats could have worked with Governor Corbett to solve these daunting issues and instead chose to do what they’re doing now – distorting the facts and complaining without offering solutions. Governor Wolf, yesterday, to his credit, chose to delay actions and wait until he gets to spend some time reviewing the budget in depth before offering any commentary. I continue to stand by my statement that Pennsylvania does not have a revenue problem, it has a spending and expense problem. For the benefit of all of Pennsylvania, the Democrats need to step up to the table and begin working on actually fixing problems rather than just criticizing and grand-standing politically. Author BillLawrencePosted on December 8, 2014 July 19, 2017 Categories Pa Budget 2014, Taxes2 Comments on Tax Hike Unnecessary For Pa.
Scott Wagner, the Tea Party candidate who spanked the GOP establishment to win a special election, March 18, to represent the 28th District in the Pennsylvania Senate sent out this message on July 10 concerning the state’s budget problems. Yes, he included the Pennsylvania State Educational Association content that was “intended for use by PSEA members and their immediate families” LOL. I would like to give all of you an update on the budget process in Harrisburg. I am asked repeatedly why nothing has gotten done in Harrisburg. Here is the number one reason: The Public Sector Unions. Of the public sector unions, the PSEA (Pennsylvania State Education Association – teacher’s union) is the most powerful union in Harrisburg. This morning at a press conference, Governor Corbett announced he signed the 2014-2015 budget. He announced that he is blue lining parts of the budget, which would stop funding increases to the legislature. It is a tragedy that with a Republican Governor, Republican Senate and Republican House that paycheck protection, pension reform, liquor privatization and property tax reform did not get passed. Below is an email from the PSEA President, Mike Crossey, claiming victory over the defeat of these much needed reforms that I have been fighting for in Harrisburg. This is a slap in the face for every taxpayer. By sending this email out on July 3rd, 2014, the PSEA has declared war on Pennsylvania Taxpayers. I have a lot of respect for teachers and for the job they do educating our children. I have friends who are teachers and I genuinely believe they are good people, but they have no idea who they’re being represented by and how their dues are being spent. Government Unions Use Dues For Politics. Government unions spend dues money on mailers in support of candidates, lobbying, and TV and radio ads. The PSEA sent mailers to Pennsylvania voters endorsing Barack Obama in the last Presidential election. The PSEA has sent newsletters mocking Governor Corbett to fundraise for its PAC. In fact some PSEA union members may be outraged to know that some of their dues were sent to Wisconsin to support the recall of Gov. Scott Walker. The PSEA has over 185,000 members and will collect almost $100,000,000 (100 million) in dues from it’s members in 2014 through the use of taxpayer resources. That is what we’re up against in Harrisburg. Since I took office, I have been asked repeatedly if I am getting frustrated. I give every person the same answer: I do not get frustrated, I get more motivated. It is emails like this that fuel my fire to keep fighting for you, the taxpayers, in Harrisburg. I ask that you share this email with as many people as you know in Pennsylvania. Once again, Gov. Tom Corbett and his legislative allies attempted to ram through a range of attacks on our schools, our students, and our profession, along with the state budget. Thanks to the tireless advocacy and resolve of PSEA members like YOU, we were able to beat back the worst of them. There remains no doubt that we need to send Tom Corbett packing in the fall and elect Tom Wolf as our next governor to win much-needed victories for public education. As governor, Tom Wolf will reverse Gov. Corbett’s nearly $1 billion in school funding cuts, protect our jobs, and defend the pensions we’ve earned and paid for. You have done an outstanding job of speaking up for public education, and, believe me, legislators are listening. Thousands of your emails, your calls, and your letters made it clear that educators and support professionals oppose these attacks and that legislators have an obligation to protect our public schools and the students who learn there. Pensions: Gov. Corbett made a strong push for passage of a pension proposal that fails to fix the problems that need fixing. Pension experts said the plan, sponsored by Rep. Mike Tobash, would NOT save the pension system much money or help balance the budget but would make drastic cuts to retirement benefits for younger teachers, bus drivers, nurses, and other public employees. You called and emailed your lawmakers to tell them that this pension plan fails to address the real problem – the cost of paying the debt that employers now owe after putting their pension payments on a credit card over a decade ago, while you continued to make your full contributions. School funding and the state budget: This year marked one of the most difficult state budget debates we have faced in years. A $1.5 billion funding gap threatened to erase even the modest increases in school funding that lawmakers were proposing. The result: ADOPTED – BUT AWAITING GOV. CORBETT’S SIGNATURE. The House and Senate sent a budget to Gov. Corbett on June 30 that takes a small step in the right direction by increasing education funding, but much more needs to be done to reverse Gov. Corbett’s nearly $1 billion in cuts to public school classrooms. Unfortunately, the largest chunk of new school funding in the budget, $100 million, will be distributed with strings attached through the Governor’s “Ready to Learn” block grant. However, we succeeded in loosening many of the strings Gov. Corbett wanted to attach to the use of these grant funds, making the program more flexible and effective for school districts. This budget also skirts the most difficult decisions by raiding special funds, using a variety of accounting gimmicks, and inflating next year’s revenue estimates. It is a testament to why we need Tom Wolf in the Governor’s Office, so that we can build a budget that relies less on short-term budget fixes and more on long-term, fair, and sustainable revenues. What happens next remains to be seen. Gov. Corbett has so far refused to sign the budget, citing his disappointment that the Legislature has not adopted a flawed pension bill. During a July 2 press conference, he said that he was still considering all his options, including a veto of the budget. Payroll deduction: Right-wing groups spent an incredible amount of time and money over the past five months attacking our right to pay association dues through voluntary payroll deductions. In the waning days of the summer session, a group of legislators made a last-ditch effort to force a vote on this bill. When it counted, you flooded the General Assembly with letters, phone calls, and emails calling out this campaign for what it really is: a politically driven attack aimed at bullying middle-class Pennsylvanians like us. You explained how it unfairly singled out teachers, nurses, and public safety workers by prohibiting their voluntary payroll deductions – but continued to allow deductions that go to insurance companies, big banks, and financial companies. In the end, neither the House nor the Senate had the votes to get it done. Teacher furloughs: Legislators in the House tried to advance a bill that would give Pennsylvania school boards free reign to furlough you and your colleagues at will without regard to seniority. Special interest groups, with the backing of deep-pocketed corporate donors, tried to use Pennsylvania’s school funding crisis to take away our seniority protections. Their bill would have allowed school boards to furlough employees for economic reasons and tie furloughs to the new educator evaluation system that has not even been fully implemented yet. You fought back, telling your lawmakers to focus on finalizing a state budget rather than making it easier to fire good teachers. The bill languished in committee. Special education: Lawmakers have spent several months debating legislation that enacts a new special education funding formula, based on the recommendations of a bipartisan legislative commission that received input from parents, educators, and special education experts, including PSEA. The result: APPROVED IN HOUSE; AWAITING SENATE ACTION AND GOV. CORBETT’S SIGNATURE. The House passed the new formula, providing a fair and equitable distribution of special education funding that more closely reflects the actual costs of educating students with special needs. The budget also includes a $20 million increase in special education funds – after six years of flat funding and rising costs for school districts. Charter school pension double dip: Since the charter school law passed in 1997, school districts have been required to include in their payments to charter and cyber school operators an amount equal to 100 percent of a charter’s employee pension costs. On top of this, charter operators receive a reimbursement from the state for 50 percent of pension costs. This means that charter school operators get paid twice. The House put an end to the pension double dip for charter operators in a companion bill to the budget. How did PSEA end this contentious legislative session with so many victories? Because YOU spoke out. And legislators listened. We have more work to do in the months and years ahead. But, if we keep making our voices heard, we will WIN. Let’s make sure this budget is Gov. Corbett’s last. From pensions to school funding to the future of our profession, Gov. Corbett has pushed for policies that will take Pennsylvania in the wrong direction. It is time to say enough is enough. We need every member to go All In to defeat Tom Corbett and elect Tom Wolf, who will be a pro-public education governor. This is not an election to take for granted. Gov. Corbett’s re-election campaign will have the backing of deep-pocketed corporate donors and anti-public education groups. Every dollar you contribute to PSEA-PACE will go directly to defeating Gov. Corbett in November and electing pro-public education candidates. Remember, no dues dollars go to PSEA-PACE, and contributions are voluntary. Just as important, remember this: Your contribution makes a difference. Nov. 4 is only 123 days away. There are just over two weeks to go until PSEA’s Summer Leadership Conference gets under way in Gettysburg. For those of you who are registered, get ready to spend a week learning innovative skills that will help you become a stronger leader in your local. This year’s conference runs from July 20-24. Built around a theme of “Effective Leadership… Protecting and Preserving Public Education,” the conference combines learning with fun and is intended to generate the enthusiasm and camaraderie that is vital to good leadership and strong, effective locals. Check out the Summer Leadership Conference web page for conference materials, including the conference schedule and information on how you can earn three graduate credits and 90 Act 48 hours from the Indiana University of Pennsylvania. In the coming weeks, you will also find more information about the popular Gburg PSEA mobile app. Many of you have made efforts in your schools over the past year to educate parents about the Keystone Exam requirements. At PSEA, we are also doing our part to help parents understand what’s at stake and how they can help their students prepare for the tests and improve their scores. In the June issue of Partners Post, our sister publication for Partners for Public Education, we offer on overview of these end-of-course tests, including the supplemental instruction available to any student who fails an exam or a part of an exam in any of the three subjects – algebra, biology, and English literature. Check out the post at the Partners web site. Anyone can join Partners for Public Education for free and receive the monthly Partners Postemail newsletter, full of valuable education news, tips for parents, and information on discounts at stores and restaurants. Do you have friends, family, or neighbors who might want to become Partners? Tell them about it. Invite them to become a Partner for Public Education today and to Like the Partners’ Facebook Page. Planning to take any day trips, family outings, or a big vacation this summer? Whether you’re planning some fun in the sun or to cool off indoors, PSEA’s Member Benefits can help you save big on a range of entertainment and recreation opportunities. Save on admission to big theme parks like Six Flags and Sesame Place, get discounts on car rentals and hotel rooms, and find savings at museums, zoos, and countless other attractions near you. To learn more, go to www.psea.org/mb/. Note: This content is intended for use by PSEA members and their immediate families. PSEA-PACE supports friends of education in state and local elections. Contributions to PSEA-PACE are voluntary and members have the right to refuse to contribute without reprisal. A member may contribute more or less than the suggested amount, or not contribute, without it affecting his or her membership status, rights, or benefits in NEA, PSEA or any of PSEA’s affiliates. Nathan Benefield of Commonwealth Foundation points out that education spending has hit a new high with the $29.1 billion budget the Pennsylvania Senate sent to Gov. Corbett yesterday, July 8. Benefield notes that budgeted for education in 2014-15 is $10.04 billion or $290 million more than the prior year and an increase of nearly $1 billion since Corbett took office. The Pennsylvania House reconvenes today, June 2, and will begin finalizing a budget proposal for the 2014-15 fiscal year. The deadline is the end of this fiscal year which is June 30. According to the Independent Fiscal Office, year-over-year revenue is actually up, with Personal Income Tax up roughly 5 percent over last year. Cox says this is indicative of continuing employment gains and a growing economy throughout the Commonwealth. He points out however that revenue growth overall has fallen far short of expectations, leaving a more than $1 billion budget gap between estimated and actual revenues. Cox says the full report is in the PDF file at this link. He notes that budget news can be tracked at the websites www.pahousegop.com and www.pabudget.com. The Pennsylvania House Appropriations Committee has began its annual budget hearings, notes State Rep. Jim Cox (R-129). The Independent Fiscal Office, Department of Revenue, Department of Aging, and the offices of Auditor General and Attorney General were among the first to testify. The hearings will continue through the end of the month to ensure all state departments and agencies are provided an opportunity to testify and to allow members to ask questions regarding proposed allocations in the 2014-15 spending plan, says Cox. For information about the budget process click here. Pennsylvania Agriculture, Tourism Industries Examined — Members of the House Appropriations Committee held two public hearings in Gettysburg last week to focus on two of Pennsylvania’s leading industries – agriculture and tourism, reports State Rep. Jim Cox (R-129). The first hearing examined the impact of tourism on the state’s economy. Tourism is a $39 billion industry in Pennsylvania that generates $3.8 billion in tax revenue and supports more than 450,000 jobs. The committee also addressed what state government can do to further leverage state tourism spending to support economic growth and development. It is estimated that for every dollar the state spends on tourism promotion, it receives a $267 return on that investment. The second hearing focused on agriculture, the state’s top industry. With $5.7 billion in cash receipts annually from production agriculture, Pennsylvania farmers and agribusinesses are the leading economic driver in our state. In addition to production agriculture, the industry also raises revenue and supplies jobs through support services such as food processing, marketing, transportation and farm equipment. In total, production agriculture and agribusiness contributes nearly $57 billion to Pennsylvania’s economy.